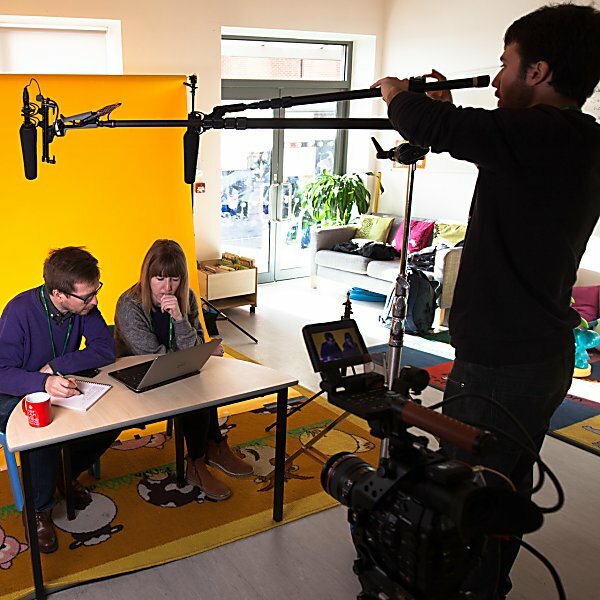 Teach First wanted two videos for a joint editorial campaign with Trinity Mirror to encourage young people to train as teachers. The charity challenges educational inequality by recruiting bright graduates to work in the most deprived schools. These are all around the country, so it works with Trinity Mirror’s local titles, such as the Liverpool Echo, Nottingham Post and Birmingham Mail, to recruit for those areas. The videos needed to convey two messages: that teaching is a demanding and rewarding profession; and that it can change people’s lives for the better. They needed to work on the title’s websites and social media accounts – particularly Facebook – as well as the charity’s own channels. And they needed to appeal to undergraduates and recent graduates and inspire social sharing. Communication is often most effective via humour or emotion. Happen used both to get the messages across. The first video was based on the fact that teachers are asked dozens of questions each hour. So it asked the viewer whether he or she would be able to answer children’s toughest questions in a fun Buzzfeed-style format. The second was a more traditional case study. It told the story of how a teacher helped a troubled, disruptive pupil turn her life around and win a place at Oxford University in an engaging, emotional way. 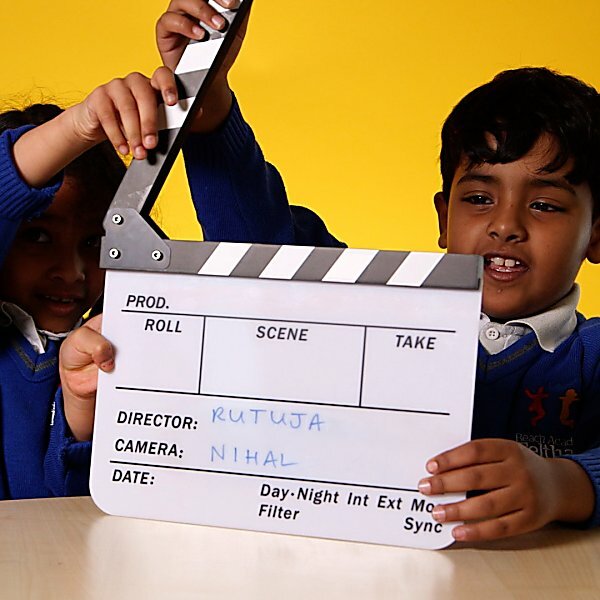 Getting the best out of children on camera requires a relaxed shoot and a lot of patience. We spent a day filming with the pupils of Reach Academy in Feltham, asking a lot of open-ending questions to make sure we had enough good answers to make a funny and powerful film. We used a bright yellow background, so the video would stand out on Facebook. We edited the footage to make viewers imagine themselves as teachers – and cut in a series of chapter headings to ask whether they could cope in the classroom. The second video was about a young woman, Sara Harb, and her former teacher Liam McGillicuddy. As an immigrant, Sara struggled to learn English and understand what was going on in the classroom. Insecure and frustrated, she was violent and disruptive, and often excluded from school as a result. But over time, her teacher made her realise her potential and become an A-grade student. Key to the video was the interviews with Sara and Liam. 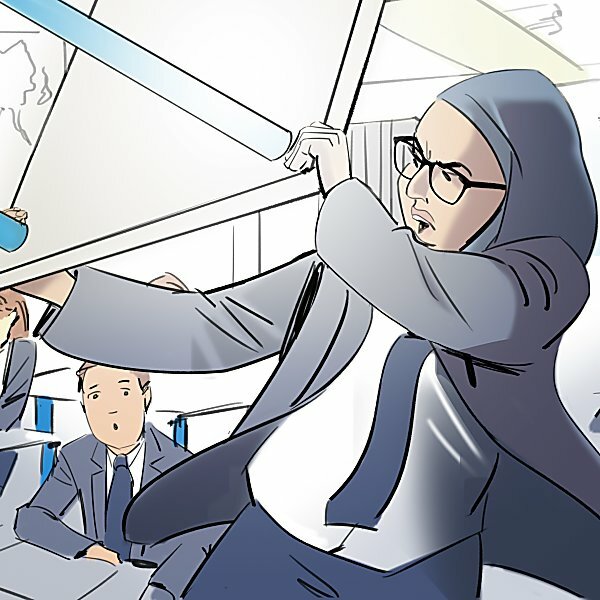 These covered her angry behaviour, the support she received and how she won a place at Oxford University. We then cut the interviews with illustrations of Sara kicking off in the classroom, footage of her at Oxford and shots of Liam in the classroom. But most importantly, we showed how Liam’s help made Sara feel, and how her success made him feel. This gave the video a genuine emotional power. We’re extremely happy with the finished films, which have been received well by internal and external audiences. Happen Digital is professional, friendly, honest and accommodating – we would not hesitate to recommend them. The two films worked extremely well across Trinity Mirror’s titles and also proved popular on the social accounts of Teach First. Teach First was so pleased with the figures that it plans to put spend behind the videos when it starts to push teacher recruitment again.